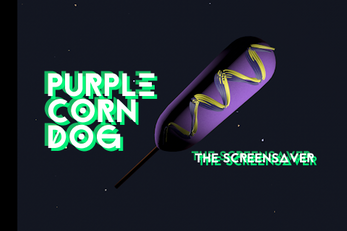 Get yourself some purple corn dogs on quality wooden texture sticks to stay groovy. This screensaver might help you with that. Contains virtual ketchup, virtual mustard, and virtual purple sauce.